HURON, Calif. — A rooster signals the start of the day as workers wearing sombreros and ball caps emerge from the shadows and shuffle past boarded-up businesses in this tiny farm town. They converge on a dimly lit dirt lot outside Panaderia de Dios, a bakery sweetening the air with the aroma of Mexican cookies and bread as workers catch rides to the fields. Little else is sweet in Huron, where jobs not displaced by automation in farming are mostly done by hand, and residents struggle to scrape by. "As soon as you make the money, the money goes away," Martin Castro said before spending the day repeatedly bending to slice cantaloupes from vines. "I don't like the life." 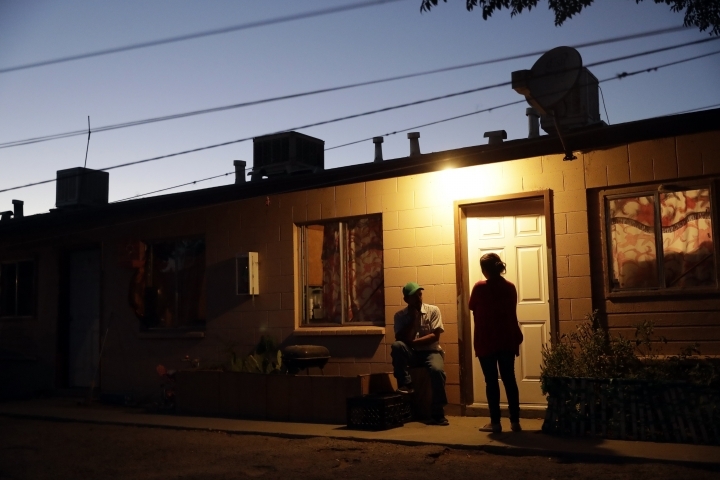 California may be famous for its wealth, but there is a distinctly different part of the state where poverty prevails: places like this one halfway between Los Angeles and San Francisco. 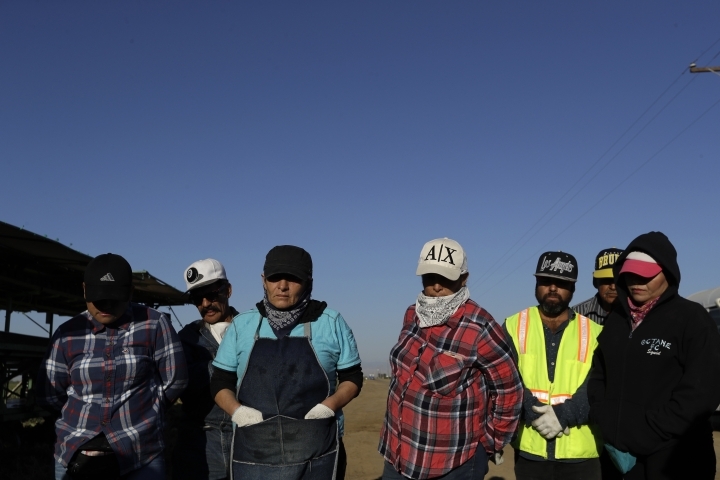 The Central Valley has long been short on resources no matter which political party is in power. Democratic and Republican candidates for Congress have blamed incumbents for doing little to create higher-paying jobs, curb homelessness, clean up blight or solve disparities in health care and access to good schools. Despite a big voter-registration advantage for Democrats in the district that includes Huron, they have struggled to unseat a three-term GOP congressman. In mid-September, campaign signs were nonexistent in town, where residents either can't vote because they're in the U.S. illegally or don't vote because they're more concerned about putting food on the table. Despite Democrats' 16-point registration advantage, Rep. David Valadao easily won re-election with the third-lowest vote count of any member of Congress in 2016. That's despite Hillary Clinton carrying the district by 15 points. "It's a definite Democratic advantage, and that's what is so bewildering to people who think Valadao should be unseated," Fresno State political science professor Jeff Cummins said. "It's extremely high poverty and low education and has a significantly Latino percentage, and all those factors contribute to incredibly low voter turnout. That offsets that advantage Democrats have with registration." Huron was founded in 1888 as a water stop for steam trains on the Southern Pacific Railroad. It became a destination for migrant laborers as crops blossomed and is now home to 7,000 people. 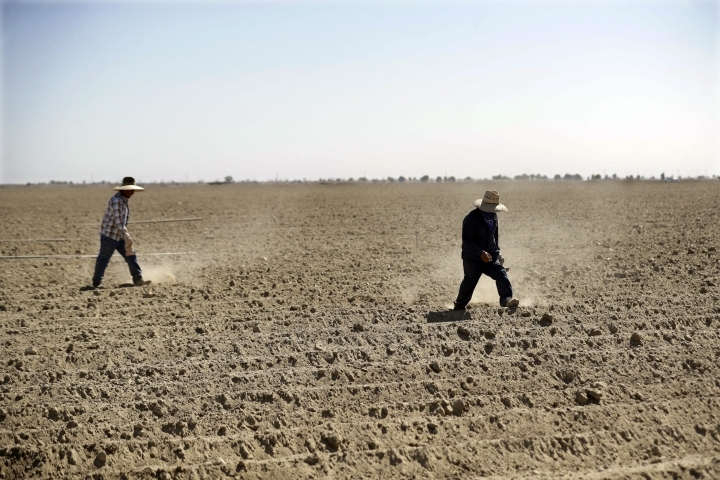 The region is unrivaled for farm production, but the rich earth has not given back equally to those who toil out of view of millions of tourists and Californians who pass through the valley each year. Nearly 40 percent of Huron residents — and almost half of all children — live below the poverty line, according to the U.S. Census Bureau. That's more than double the statewide rate of 19 percent reported last month, which is the highest in the U.S. The national average is 12.3 percent. "We're in the Appalachians of the West," Mayor Rey Leon said. "I don't think enough urgency is being taken to resolve a problem that has existed for way too long." 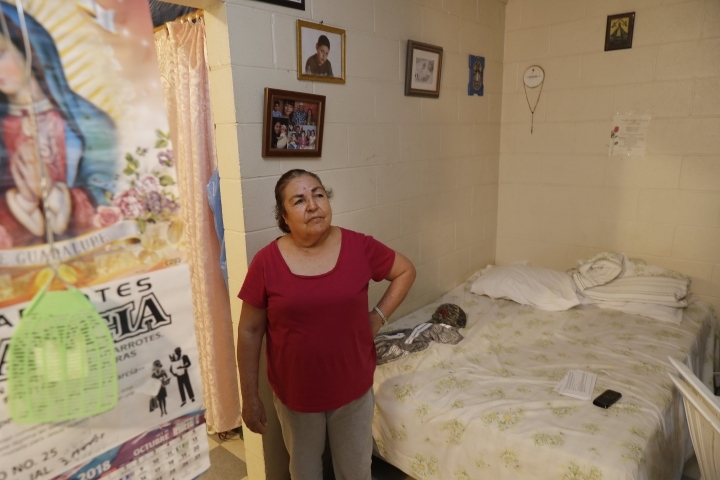 Multiple families and boarders pack rundown homes, only about a quarter of residents have high school diplomas and most lack adequate health care in an area plagued with diabetes and high asthma rates in one the nation's most polluted air basins. Fresno businessman T.J. Cox, a Democrat who heads a community development organization that helps fund health clinics, has made the lack of affordable medical care a signature issue in his run against Valadao. Cox calls Valadao a "rubberstamp Republican" for President Donald Trump who has hurt poor constituents by voting to cut Medicaid and other social programs and failing to bring money to the district. "We don't get the dollars that go to Washington," Cox said. "Appalachia, which is a very similar region, gets twice as much federal investment as the Central Valley of California." Valadao, who lives in nearby Hanford, comes from a dairy farming family and touts his farm credentials. 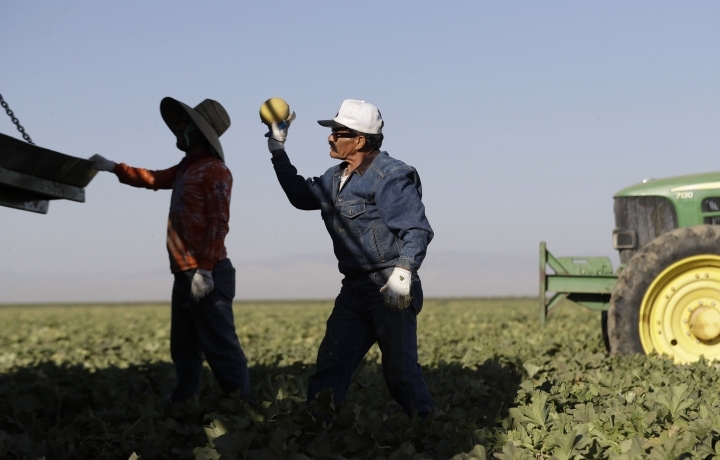 He bucked his party in voting for immigration reform, which is important to farmers who need laborers. The farm that Valadao and his family own was seized and auctioned earlier this year for failure to repay $8 million in loans, according to court documents. Valadao declined repeated requests to be interviewed for this story. 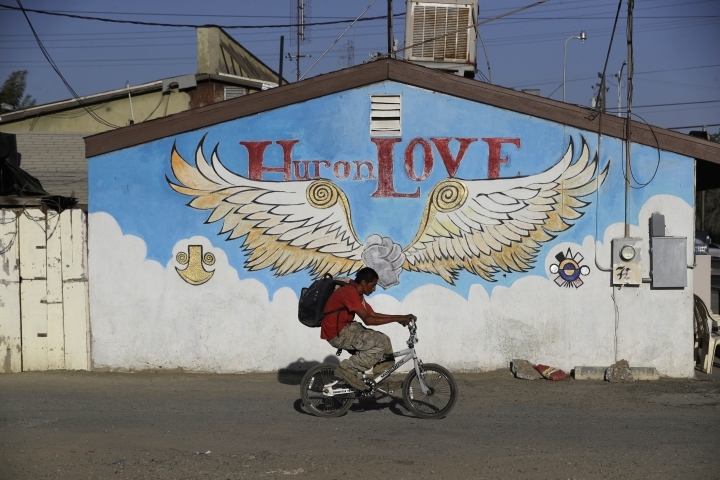 Huron feels like a village in Mexico, which is where most of its inhabitants hail or descend from. Nearly all residents are Latino, and Spanish is the primary language. 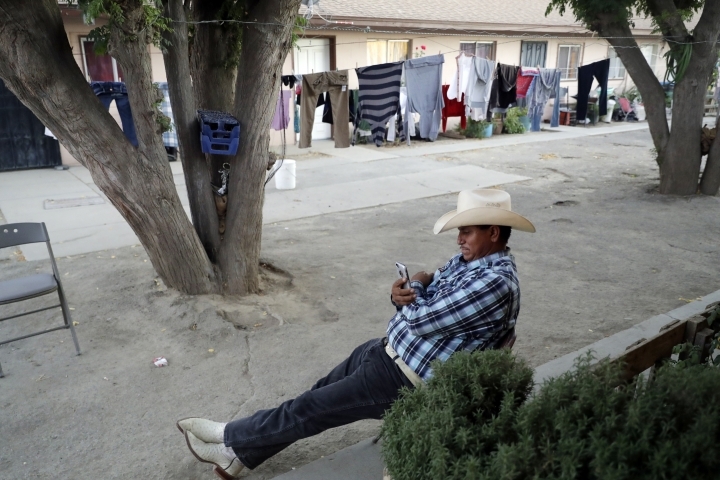 "We didn't go to school, we didn't study, so we're here," Benito Bautista, 63, said in Spanish, shooing flies with a cowboy hat as he sat in the shade of an apartment building. Picking or packing crops pays about $11 to 12.50 an hour, but jobs are seasonal, and many people go months without work. Signs of hard times are easy to spot. More than three dozen cars gathered dust outside Ralph's Triangle Service, waiting for their owners to earn enough to pay for repairs. 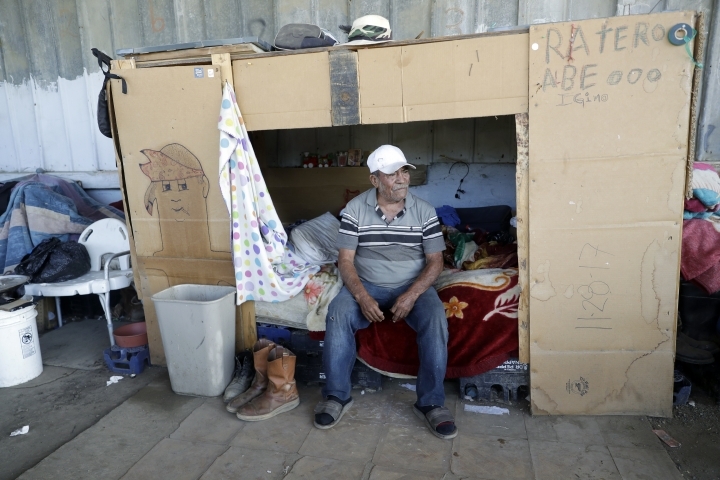 A shuttered melon packing shed down the road has become a homeless encampment where several men and a woman live in large boxes under a roof hanging over a loading dock. One man pointed to five empty King Cobra beer bottles to explain his absence from the fields that day. 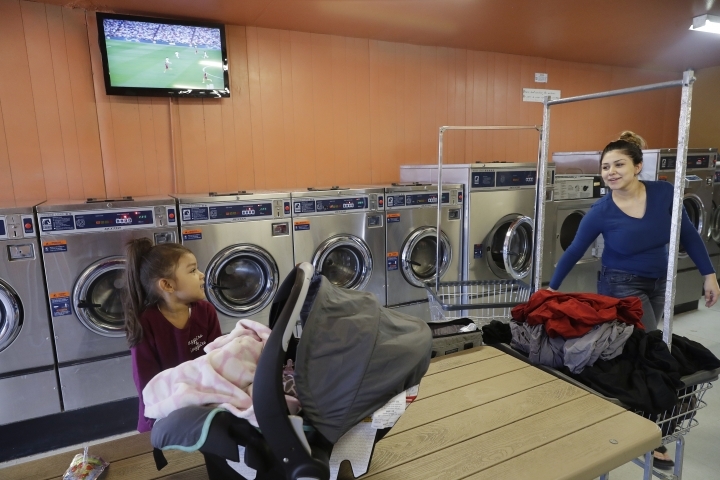 At a laundromat where a Mexican soccer match was on TV, 23-year-old Paola Espinoza said she wanted to move out of town. Espinoza, who works as a medical assistant at nearby Naval Air Station Lemoore earning about $20 an hour, fears a lack of things to do could lead to bad influences on her two young daughters. 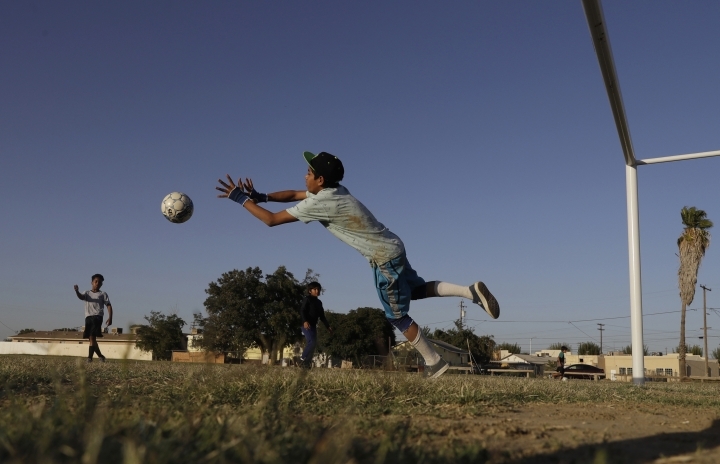 There are only a few playgrounds and no arcade or movie theater, though a soccer league was started last year to keep kids from joining gangs. 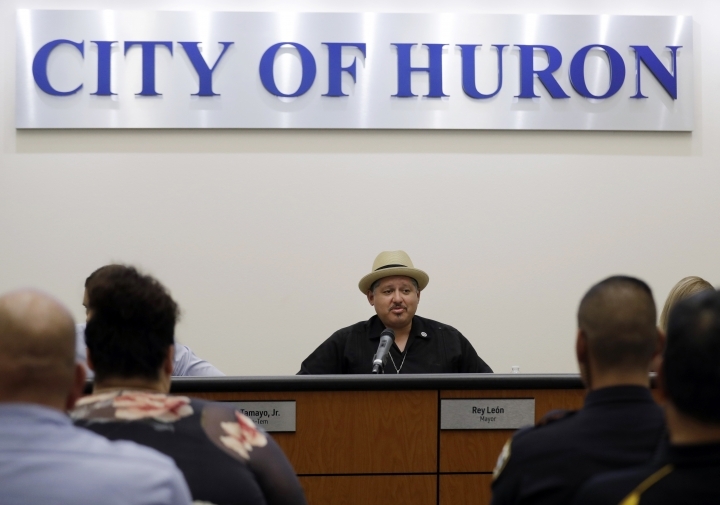 "There's nothing for the kids to do," said Espinoza, who grew up in Huron. "We're in the middle of nowhere." The 1.5-square-mile (4-square-kilometer) city is surrounded by lettuce, cotton and tomato fields, where technology has replaced the work of many hands. "There's less need for us," said Higinio Castillo Ruiz, 73, who only works occasionally. "That's the way things are." 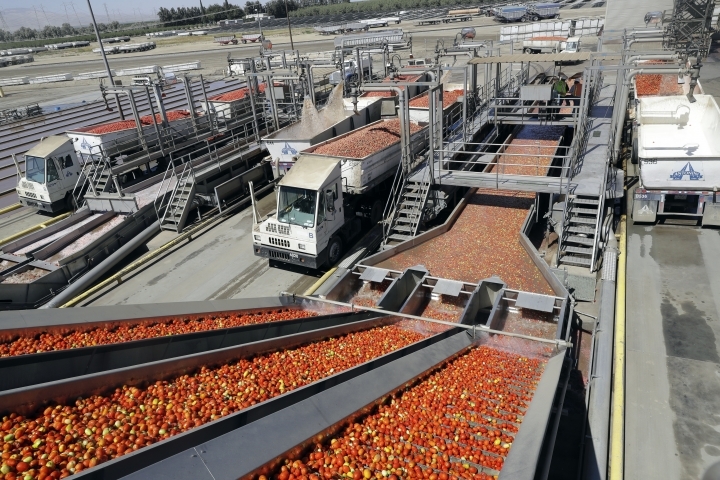 Large harvesters that cost $450,000 spit out 26 tons (24 metric tons) of tomatoes every 15 to 20 minutes. In a pistachio orchard, machines throttle tree trunks, sending nuts raining down and dust clouds rising up. Stuart Woolf, who runs a family farm spanning 30,000 acres, said planting nut trees instead of seasonal row crops like lettuce or asparagus allows farmers to earn more per acre. 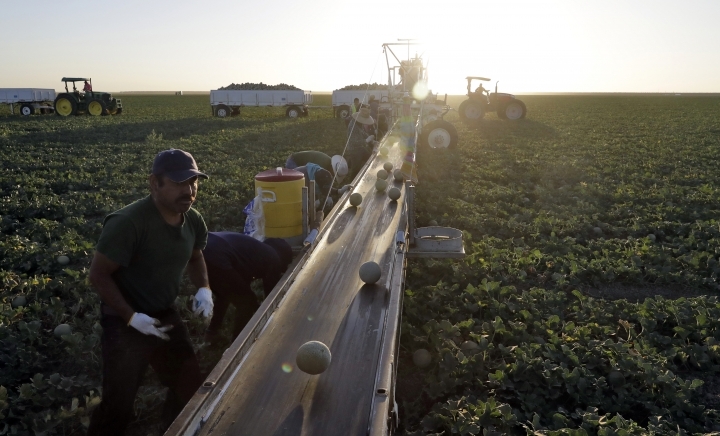 Those changes have brought harder times for towns like Huron, which once doubled in size during late fall and early spring when Fresno County supplied most of the nation's lettuce. Leon, the mayor, blames farmers for putting profits over workers who helped build their empires. 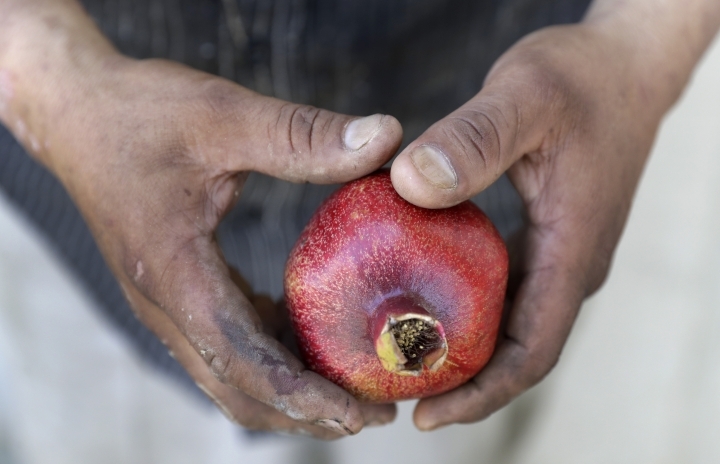 "Orchards ... give a lot to the owner, but not the people," Leon said. "They do it at a sacrifice — a sacrifice to the people on the ground." Woolf is concerned about the impact of his operations on small communities, though he sees it more as an issue of diminishing water supplies because of drought and policies protecting threatened fish. Woolf said he employs about 450 locals, mostly full time, noting that whatever criticisms there are about farm work, "it's better than not having a farm job." 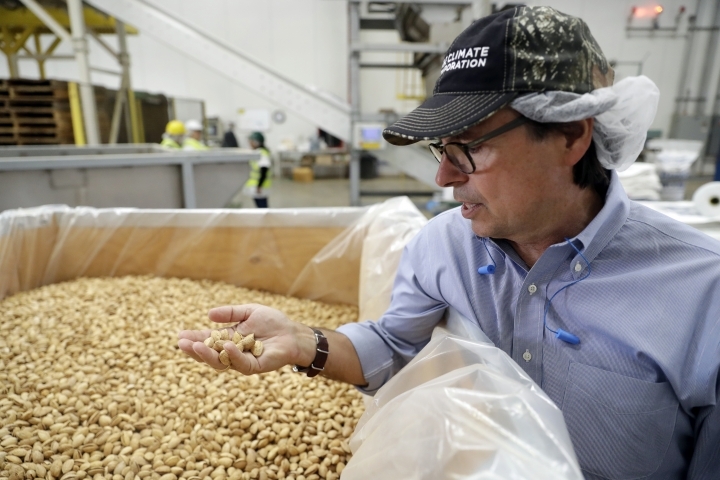 He pays union-scale wages at his tomato and almond processing plants, offers scholarships to employees' children and donates 300,000 pounds to 400,000 pounds (136,000 to 181,400 kilograms) of produce to a food bank each year. "It's only getting tougher, I think, for people to live in those areas when there are fewer and fewer jobs," Woolf said. "I do think it's a forgotten part of California." 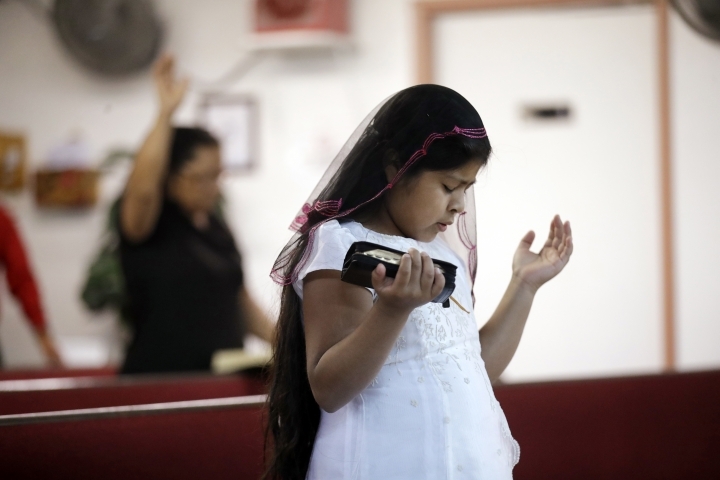 Associated Press photographer Marcio Jose Sanchez contributed to this story.